With just two days to go until St. Patrick’s Day, the Government couldn’t have picked a more opportune time to launch the website Ireland.ie by Creative Ireland, a government initiative aimed at placing creativity at the centre of public policy. The Creative Ireland programme is described as an invitation to the entire country to get involved in something truly inspirational and with Ireland.ie, they say their objective is to present Ireland, first and foremost, as a great place to live. They’ve certainly done that with a promotional video titled ‘This is IRELAND, to launch the website, which not only showcases the stunning scenery throughout the land, but, in its own words, “expresses the wealth of ​​culture​, creativity and heritage​ that make​s​ Ireland such a great place to live, ​to visit, to study and to ​​invest​”. 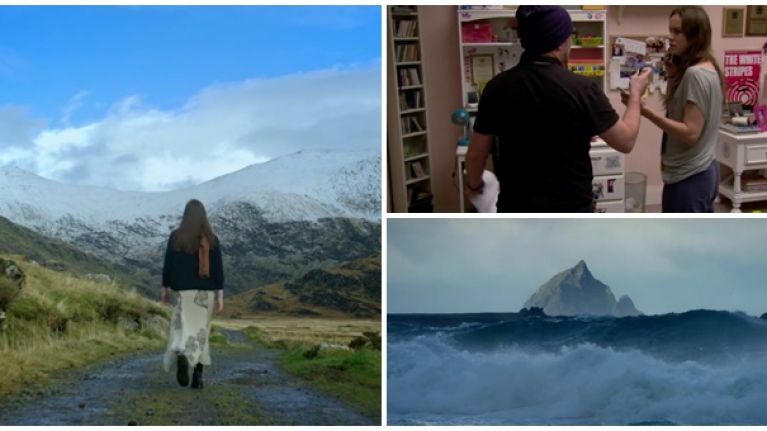 Amongst those to feature in the video are Oscar-nominated director Lenny Abrahamson, Laureate for Irish Fiction Anne Enright, surfer Easkey Britton and one of the creators of Riverdance, Bill Whelan, with The Villagers providing the soundtrack. Ireland.ie was launched by Taoiseach Enda Kenny in Washington on Wednesday afternoon and no doubt the gathered audience were suitably impressed. Take five minutes or so to give it a watch; you won't be disappointed.